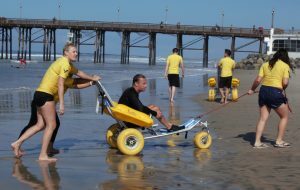 On October 5-7, Oceanside, California, hosted the U.S. Adaptive Surfing Championships. Over 70 adaptive surfers competed in the event where USAHS students and faculty volunteered assisting surfers in and out of the water and on and off their boards. Physical therapy student Kishi Kuykendall volunteered at the first heat Friday morning and explained her responsibilities. The event was hosted by the Stoke for Life Foundation. The organization’s mission is to bring awareness to the rehabilitative benefits of adaptive water sports through clinics and education. 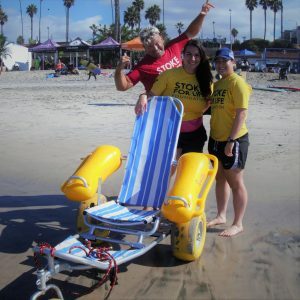 USAHS got involved with Stoke for Life after two Occupational Therapy alumni, Kelly Twichel and Eric Packard, created BeachTraxTM as a project for instructor Maureen Johnson. 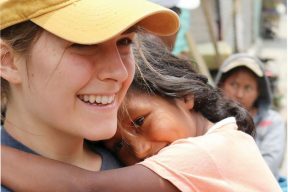 She has become heavily involved in the event and continues to help it expand. 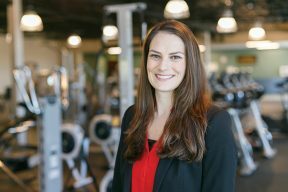 Since last year, the event has gained more recognition, a bigger audience, and is expected to continue to grow. The massive waves made for some epic stories and an unforgettable competition for these surfers. “The quote of the contest was, ‘at world class events, world class things happen!’” Johnson said.